D&D Roofing and Sheet Metal, Inc. made the Top 10 List of Best Companies to Work for in Sparks, Nevada. Company Description: D&D Roofing has a long local history, over 40 years, serving hundreds of satisfied residential and commercial clients. They are financially stable, licensed, insured and bonded. They offer offer 24-hour emergency service. Their employees are professional and customer driven. They are always competitively priced. From one of the most generous 401 matching plans in the industry to employee stock ownership programs and comprehensive health & wellness plans, their benefits package is flexible to meet the needs of you and your family. 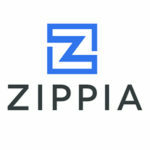 View the Top 19 Companies listed on Zippia – The Career Expert.